In a new development late yesterday, Federal Motor Carrier Safety Administration (FMCSA) officials announced a further relaxation to the full introduction to ELDs by stating that ELD violations will not count towards CSA scores until April 1, 2018. This will be implemented by citations at the roadside being regarded as “no points citations”, which will not affect the Safety Management System (SMS) that feeds into CSA scores. The SMS is the FMCSA’s workload prioritization tool. It is used to identify carriers with potential safety problems for interventions as part of the Agency’s safety compliance and enforcement program called Compliance, Safety, Accountability (CSA). FMCSA officials also suggested that local officials might not actually use citations during the ELD introduction, but this could vary by state and jurisdiction. The reasons for this change are likely to be related to observations made on both sides of citation transactions: carriers and roadside enforcement. It is highly unlikely that some carriers will be 100% ELD compliant before December 18, 2017 and the FMCSA is scheduled only to begin testing of its eRODS software at the end of November. The eRODS software is key for the data transfer from ELDs by the driver to the roadside official so that the records can be further evaluated. The result is that the time between December 18, 2017 through April 1, 2018 is increasingly seen as a transitionary period for both carriers and roadside enforcement. Space and time, for training and learning to use new technology, will be required on both sides given the significant increase of ELD technology systems which will be on the road. Previously, the FMCSA and the CVSA had decided to delay the implementation of putting drivers out of service for ELD violations before April 1, 2018. Yesterday’s announcement went further than this, adding CSA scores to the mix. Fines are one area where the FMCSA has not relented and which will continue to impact drivers and carriers from December 18, 2017. While citations may not affect CSA scores, accompanying ELD violation fines will still need to be paid. Customers using ORBCOMM’s Blue Tree technology are already ahead of the curve on roadside inspections. As an AOBRD provider for many years, we have the experience and expertise of electronic logs to be able to get drivers, dispatchers, safety and compliance officers trained and familiar with our ELD in a short space of time. Supporting in-cab documentation is available and can contribute to favorable interactions and outcomes at the roadside. In October 2017, ORBCOMM acquired BlueTree Systems, a world-class transportation management solution provider with the most advanced and user friendly ELD/HOS solution on the market for medium to large sized fleets. 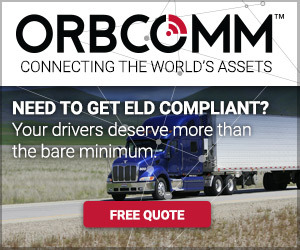 Learn More about our ELD here or email us at eld@orbcomm.com .